Google Street View is a tool that many people will likely have used at some point in their lives. I myself have ‘dragged and dropped’ the little orange man onto a map of the street where I live to find my house. I’ve also spent a lot of time reminiscing over the facades of old childhood homes and that of my neighbours, hoping to spot someone I think I know, or a car I should recognise. However, a recent BBC report questions how, in addition to using 3D maps to look at the places they already know, has it also changed the way they relate to the wider world? 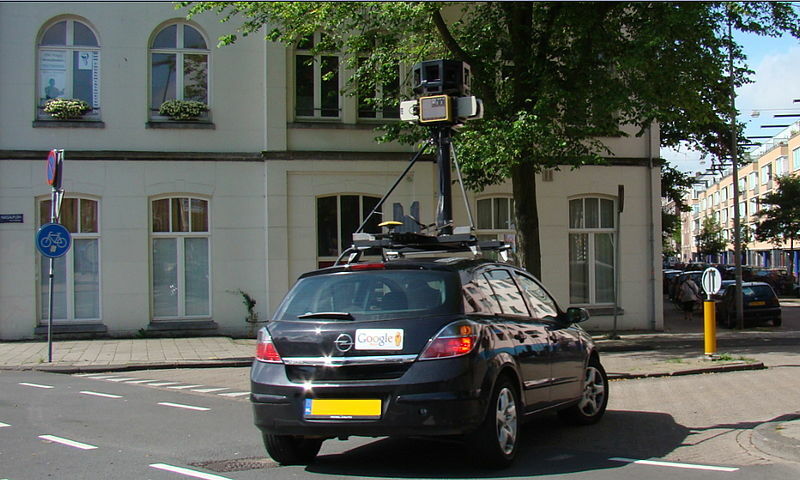 Google’s Street View cars have now driven over 39 countries. In addition they have pictured 65% of the UK’s roads and interestingly the interiors of some museums, cathedrals and shops can also be explored. More recently, I also used Street View to investigate further afield. Firstly, I spent some time trying to gauge the quality of a cheap hotel I’d booked for a last minute holiday in the Algarve in Portugal. Secondly, I planned a route to show my second-year students around Ground Zero on their field trip to New York next week. It seems that many people are using Street View for similar reasons. Duncan Walker describes some of these in the BBC article. It is the uses of these technologies that have been the subject of recent geographical enquiry. In an Early View article in Transactions of the Institute of British Geographers, Sarah Elwood and Agnieszka Leszczynski explore the relationship between new spatial media (in this case – the informational artefacts and mediating technologies of the geoweb) and social change. The paper argues that these types of media represent new opportunities for activist, civic, grassroots, indigenous and other groups to leverage web-based geographic information technologies in their efforts to effect social change. Using five new spatial media initiatives, they explore how knowledge is constructed and represented in ways often different to geographic information technologies, such as GIS. One aspect of this considers the individual ways in which people interact and explore spaces, particularly compared to conventional cartographical practices. Certainly, cartography is changing; and with it, our everyday interactions, constructions and memories of the spaces around us. Sarah Elwood and Agnieszka Leszczynski, New spatial media, new knowledge politics, Transactions of the Institute of British Geographers, Article first published online: 28 August 2012, DOI: 10.1111/j.1475-5661.2012.00543.x. Duncan Walker, Has Street View changed the way we behave?, BBC News, 25 March 2013. 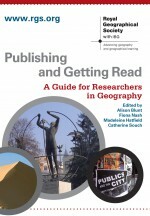 This entry was posted in Transactions of the Institute of British Geographers and tagged Agnieszka Leszczynski, Google street view, knowledge politics, place imagination, Sarah Elwood, spatial media on April 11, 2013 by Jen Turner.